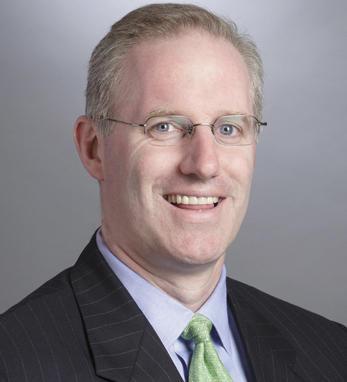 Joe Kenney, region head at J.P. Morgan Private Bank, is responsible for the management and strategic development of the Private Bank teams throughout New York and New England. Joe has held a number of leading roles of increasing responsibility at J.P. Morgan during his 26 years with the company. Most recently, he served as head of U.S. Private Banking Investment Specialists and Capital Advisors, and previously was the chief executive officer of J.P. Morgan’s Private Wealth Management, responsible for overseeing one of the largest providers of wealth management services in the United States with more than $150 billion in client assets. Prior to that, he was head of the West Coast’s Investment Practice for J.P. Morgan’s Private Bank. He joined J.P. Morgan in 1988, working in the Domestic Loan Syndication and Emerging Market Loan Swap Department and joined the Private Bank in February 1991. Joe received his B.S. from Saint Michael’s College. He is a fourth-generation Irish American whose ancestors come from counties Cork and Roscommon. A native of New Jersey, Joe is married with three children, Sean, Grace, and Owen.